VeriCite DocumentationUser GuidesBlackBoard User Guide Instructor ArticlesWhat are student paper matches? Click on the source to view the side-by-side comparison. Zoom: Click on the source to view the side-by-side comparison. 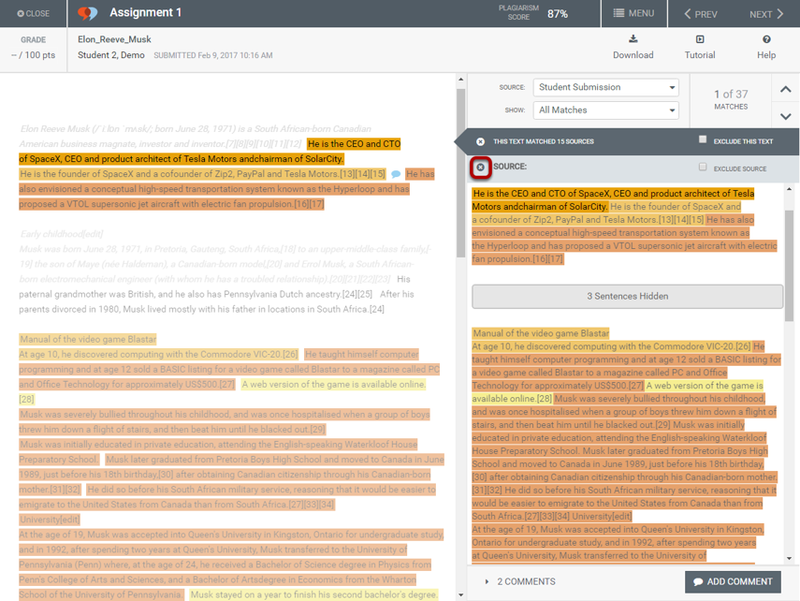 Matching text from the student assignment submission on the left side of the screen and (if you have permission to view the matching text) the student paper match on the right side of the screen will be highlighted for comparison. If you do not have permission to view the matching text, you will see a message like the one shown here. Zoom: If you do not have permission to view the matching text, you will see a message like the one shown here. 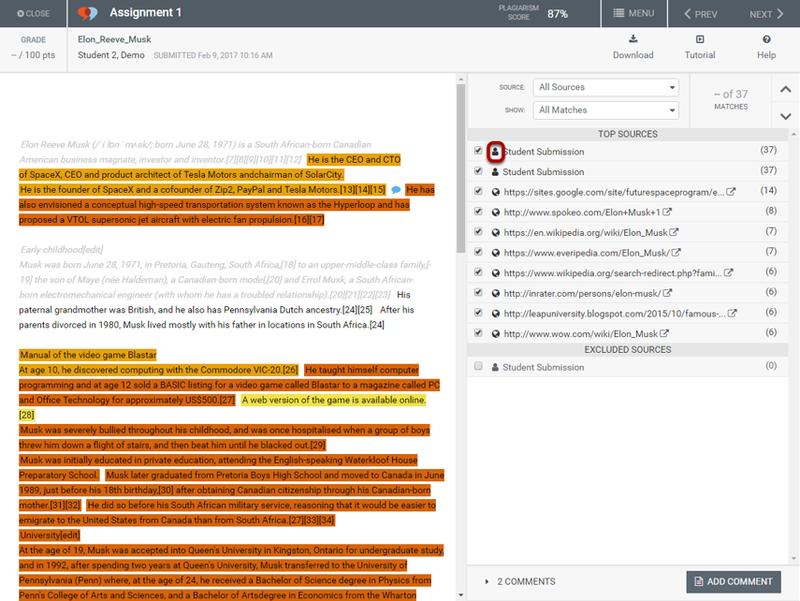 To view student match details, click the X to close the source text comparison view. 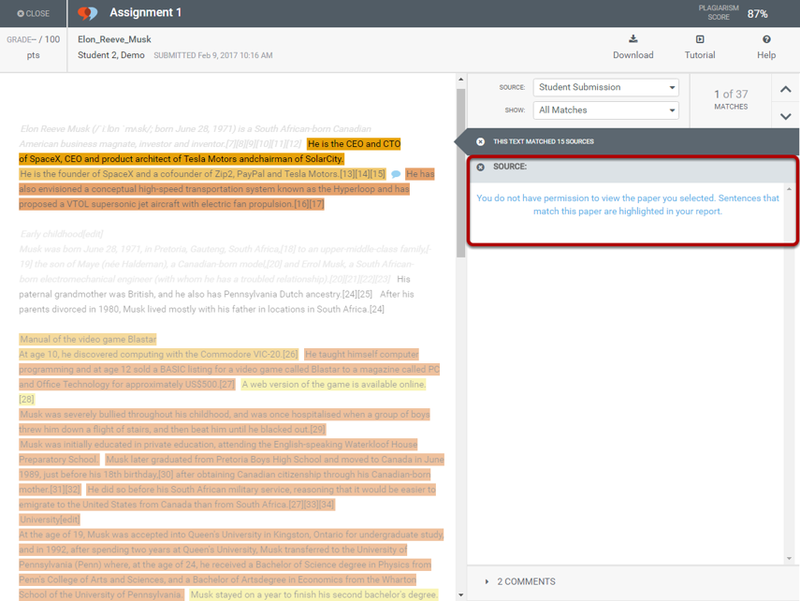 Zoom: To view student match details, click the X to close the source text comparison view. From the list of matches for an individual sentence, click the Details button. Zoom: From the list of matches for an individual sentence, click the Details button. Zoom: Paper details will display. Remember that users are only shown the details that they have permission to view. 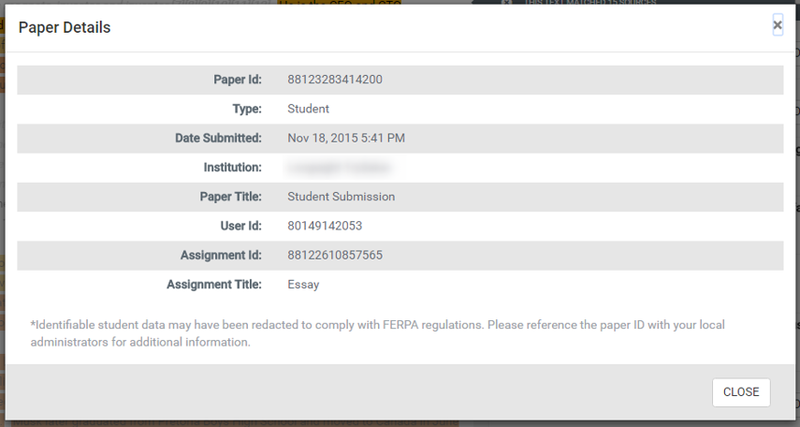 For example, students will not see any identifiable student data for student paper matches. 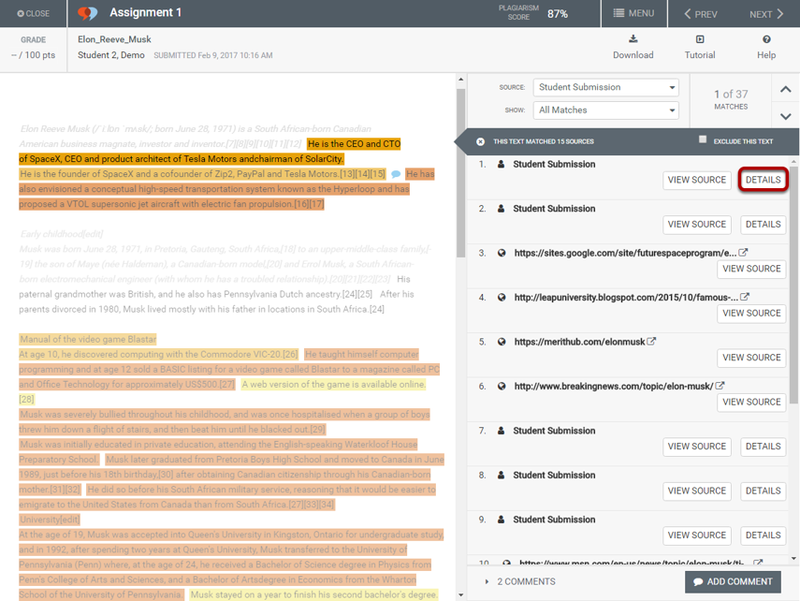 Instructors will only see details for students in their courses by default. Prev: How do I delete a comment?